News from Laos! 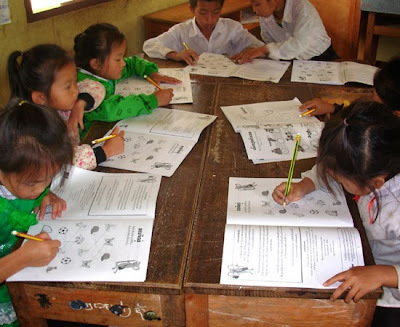 On Nov. 5, 2013, TAMMACHAT Natural Textiles sponsored a book party to launch a new, daily silent reading program in a rural Lao school through Big Brother Mouse, an innovative, Lao-run and Lao-staffed publishing social enterprise. You can also give a gift of books and share the love of reading: sponsor a reading program in a rural school yourself. Contact Big Brother Mouse at www.bigbrothermouse.com; click on Donate or Sponsor for details.